Viral conjunctivitis is the most common cause of infectious conjunctivitis in children and adults. The virus that can cause conjunctivitis is often the same virus responsible for causing runny nose, sore throat and a cough in the common cold. Symptoms include a watery discharge, usually clear in a nature however it can be mucous like as well. Sometimes patients will experience a gritty feeling in their eye and of course the sclera will be reddened. Patients may wake up with their eye(s) crusted shut. There is no medicine available for viral conjunctivitis as it is usually self-resolving within 1-2 weeks. Bacterial conjunctivitis is more commonly diagnosed in children and presents much like viral conjunctivitis. Children with bacterial conjunctivitis may experience the same symptoms as those diagnosed with viral conjunctivitis however the discharge from the eye can be white, green or yellow and is can be quite thick in nature. The child will often wake up with the eye “glued” shut and the eye will continue to drain throughout the day. Bacterial conjunctivitis can affect several members of the same family as well as members of the same class or day care setting. Bacterial conjunctivitis is treated with antibiotic eye drops or ointment. Parents are often instructed to treat both eyes even if symptoms have not developed in both eyes. 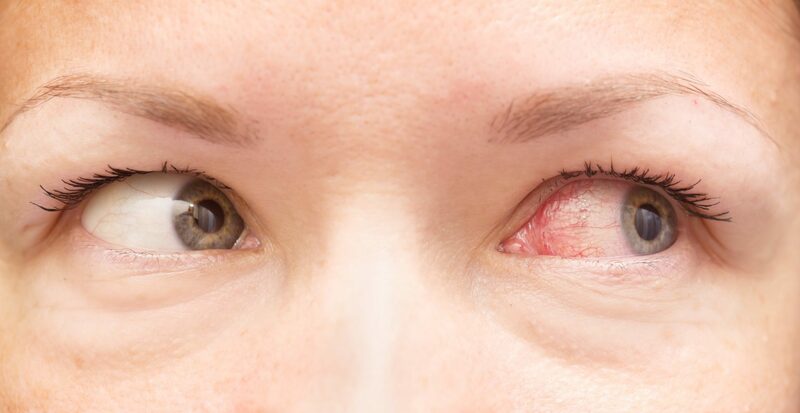 This type of conjunctivitis usually resolves within a couple of days and does not cause eye damage if properly treated. Both viral and bacterial conjunctivitis are spread by coming into contact with objects that have been in contact with the infected person’s eyes. For example, the infected child may rub their eyes and then touch a door handle leaving behind the virus or the bacteria, therefore frequent handwashing is key in preventing the spread of the illness. Allergic conjunctivitis is caused by an allergen or pollutant within the air. Allergic conjunctivitis is not contagious and is self-resolving once the offending allergen is removed. 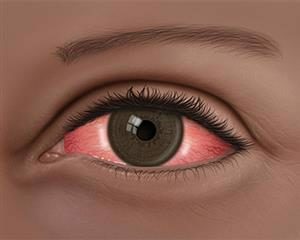 Symptoms of allergic conjunctivitis are a reddened sclera and itchy or watery eyes. In conclusion, the key to preventing bacterial or viral conjunctivitis is frequent handwashing or the use of an alcohol based hand sanitizer. Teaching children to wash their hands after coughing or sneezing is highly effective at containing the spread of contagious conjunctivitis. Further, disinfecting common areas (door handles, remote controls) with a household cleaning agent designed to kill bacteria and viruses helps stop the spread of the infection.